The Waterfront Market is the best place to buy fresh fish in Dubai. 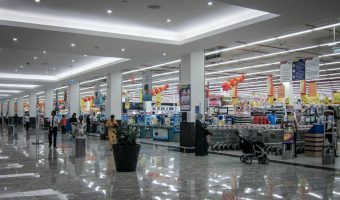 The state-of-the-art market opened in 2017, replacing the old Deira Fish Market. The new venue is very impressive. With polished floors and air conditioning, it’s much more like a large shopping mall than a traditional food market. Much of the 100,000 square metres is occupied by stalls selling fish and seafood. There are also sections offering meat and poultry, fruit and vegetables, spices and dry goods, and dates. The market also features an area where customers can have their fish cut/cleaned. There are a limited number of other retail outlets (jewellery, mobile phones etc. ), plus a selection of restaurants. Strict hygiene regulations are in place. The Waterfront Market also insist that traders wear uniforms and use management-supplied scales. All stalls are clearly marked with the name of the trader. Facilities include cash machines, currency exchange, toilets, and prayer rooms. A hypermarket is scheduled to open in 2019. Waterfront Market is located on Al Khaleej Road, near Dubai Hospital. Free parking is available (around 800 underground spaces and 500 outdoor). There is no Metro station within easy walking distance. Waterfront Market is open every day. The fish section is open 24 hours. Check the official website for a complete set of opening times (details in the information box below). Map showing location of Waterfront Market – Deira Fish Market. The old Deira fish market is now closed. However, the WATERFRONT MARKET, a mall-style, purpose-built market with dedicated fresh food markets including fish & seafood, fruit & vegetable, meat & poultry and dry goods & spices is open 24/7 on the corner of Corniche Road and Abu Hail Street. Ample parking, very pleasant experience, value for money and variety, variety, variety. A must see & must shop location!!! The market close to the metro station is CLOSED now. Be careful. The information has been updated. New location map also added. For new fish market any rta bus facility is their or No??? 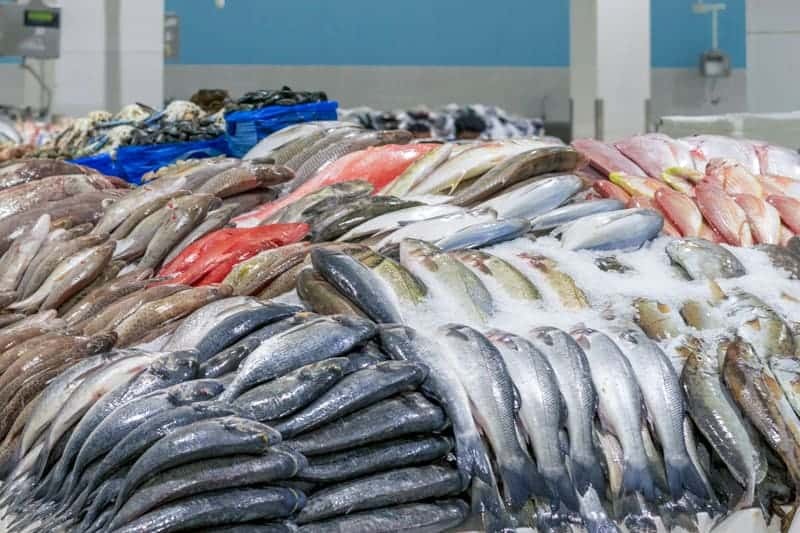 A new fish and vegetable market is expected to open in August 2015. It will be located next to the Dubai Hospital in Al Hamriya and will replace the existing Deira Fish Market. The new market is currently around 50 percent complete. The two-storey building will cover 120,000 square metres. In addition to the fish market it will also house fruit and vegetable stalls, spice ships, supermarkets, cafes, and restaurants. Are there any places in the market that will prepare the sea food? No there are no such places that will prepare sea food. This is the best souk in Dubai in my opinion (but fish is my favourite food so I’m biased). Even if you don’t want to buy anything it is still a great place to visit. There are loads of exotic fish for sale, everything from sharks to gigantic shrimps plus lots I’d never seen before or even heard of. It is a fascinating place and well worth a visit. We love eating fish. We can’t handle rich sauces and enjoy fresh grilled fish like in Europe. Do you think we can enjoy this in the top hotels together with a glass of wine? Any restaurant in a top hotel should be able to cook fish how you want it. 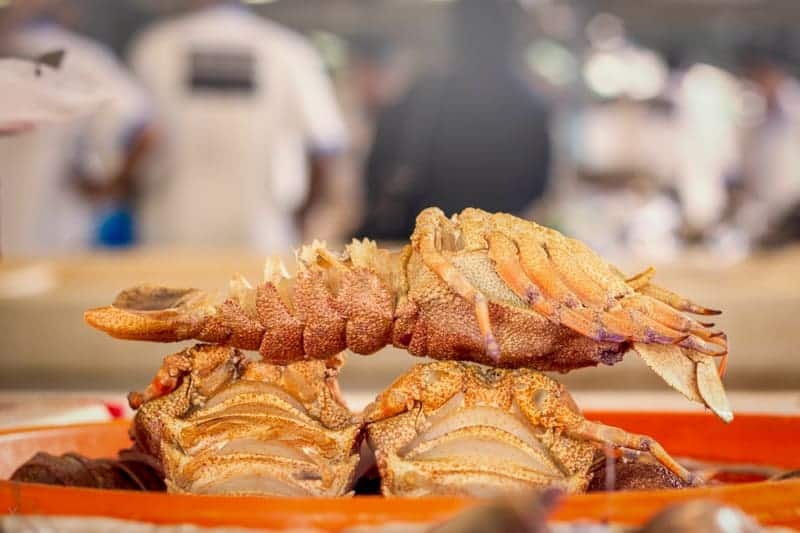 Try the Seafood Market at Le Meridien Dubai. They cook fish however you like; sauteed, steamed, deep-fried, or grilled. have you ever found scallops here? If you love markets you’ll like this place. It’s huge and has every type of fish you can imagine. It’s a great place for photography enthusiasts like me. The place is awash with colours and the workers are happy to be photographed. It’s a good place to buy too. Prices are very cheap.